But sometimes, your eyes may look tired, puffy, dark and wrinkled. We’ve all been there – catching a glimpse of yourself in the mirror and spotting the big, puffy eyes of a tired woman looking back at you. And this could be due to multiple reasons – lack of sleep, stress, inadequate diet, aging or genetics. While getting proper sleep will definitely diminish the dark circles to an extent, it is just not enough to erase dark circles completely. Anyone who works a stressful job knows that those constant bags under the eyes are nothing but real. And you are ready to do almost anything to get rid of them, but you know they will come back, even after a million treatments. The hard truth is, this may be inherited! Yes, you may have them because your parents have thin skin. And there are many like you who are tormented by the same situation. Do not fret! 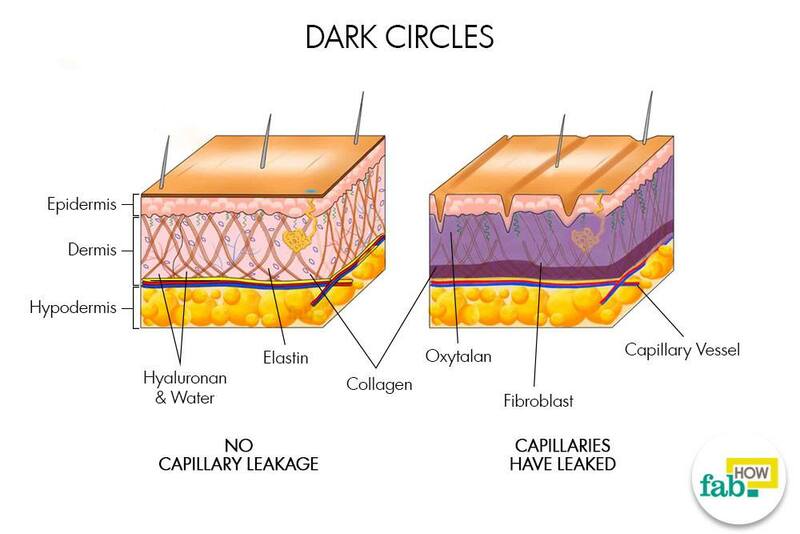 There are a number of simple solutions that can help you enjoy the perks of glowing, radiant and vibrant skin. These simple remedies will not only lighten your dark circles fast and naturally but also nourish and hydrate the skin underneath quickly. Potatoes are filled with natural bleaching properties that help remove dark circles under your eyes. They also help reduce the puffiness. 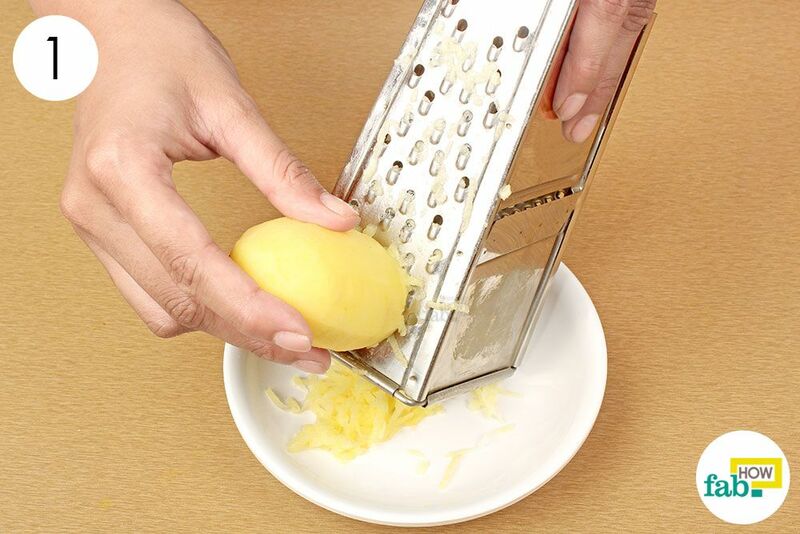 Peel a potato and grate it. 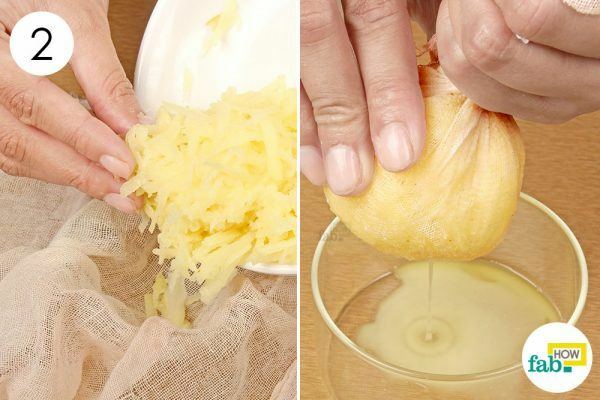 Throw the grated potato shreds into a cheesecloth. Grab the corners of the cheesecloth and bring them together tightly (as if to tie a knot). Place a bowl underneath and squeeze out the potato juice. 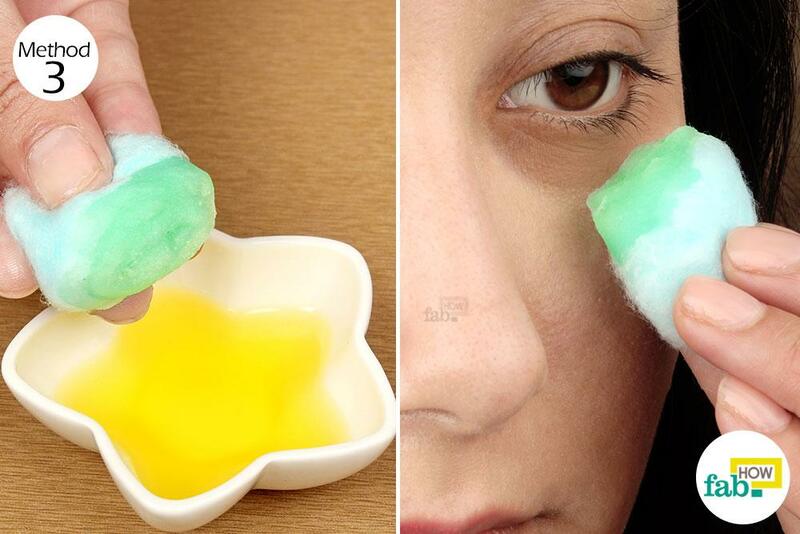 Soak a cotton ball in the potato juice and apply it on your dark circles for 15 to 20 minutes. 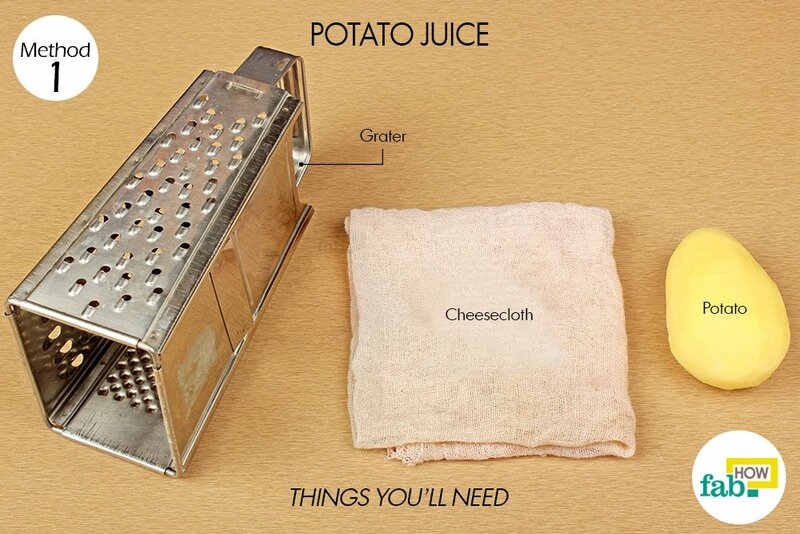 Wash the juice off with lukewarm water. Repeat this daily for effective results. The antioxidants and caffeine present in tea are highly beneficial for getting rid of dark circles and reducing puffiness. Also, the tannins present in tea contain astringent properties that help lighten the dark circles and reduce swelling and discoloration by shrinking the blood vessels and reducing fluid retention. 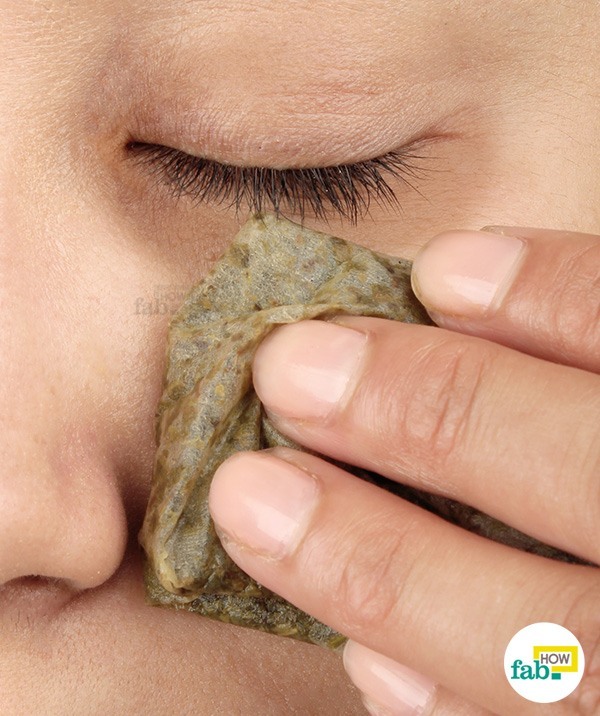 Just grab a freshly used tea bag and place it directly over your dark circles for 15 minutes. If you haven’t just made tea, prepare a tea bag by placing it in boiling water. 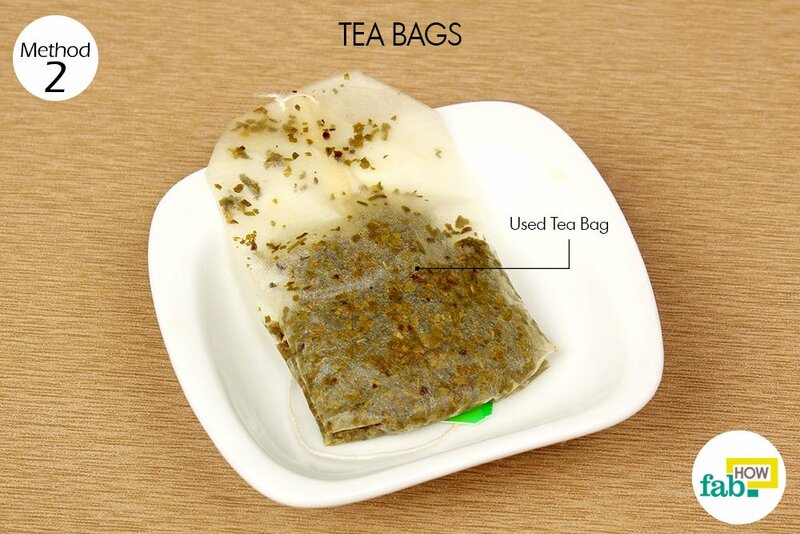 Allow it to steep for 2 minutes, take it out, cool and use. Almond oil is a natural emollient that helps relax and hydrate your skin. It is rich in vitamin K that helps contract dilated blood vessels. Moreover, almond oil contains natural anti-inflammatory properties that help diminish puffy eye bags along with the dark circles associated with them. Soak a cotton ball in almond oil and apply it gently over the dark circles. Gently massage the skin around the eyes with the oil for a couple of minutes. Allow the oil to stay on your skin for 6 to 7 hours. It is best to use the treatment at night, before going to bed. 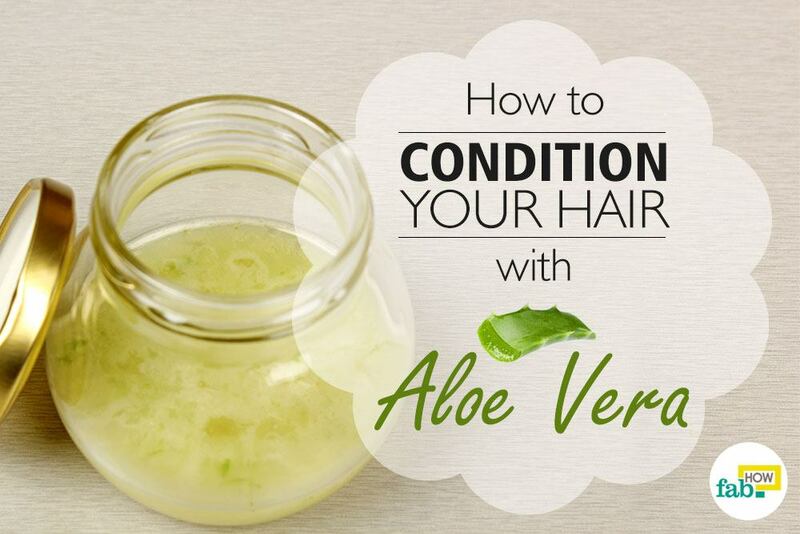 Wash it off the next morning with lukewarm water. Do this for 2 weeks to observe incredible results! Cucumbers have mild astringent and skin-lightening properties that help treat those raccoon eyes. They help lighten the skin discoloration as well as increasing the blood flow to the eyes and thus reducing puffiness. Plus, they are packed with a plethora of antioxidants like vitexin, cucurbitacins, orientin and isoscoparin along with vitamins like K and C that contribute to reducing discoloration and inflammation under the eyes. 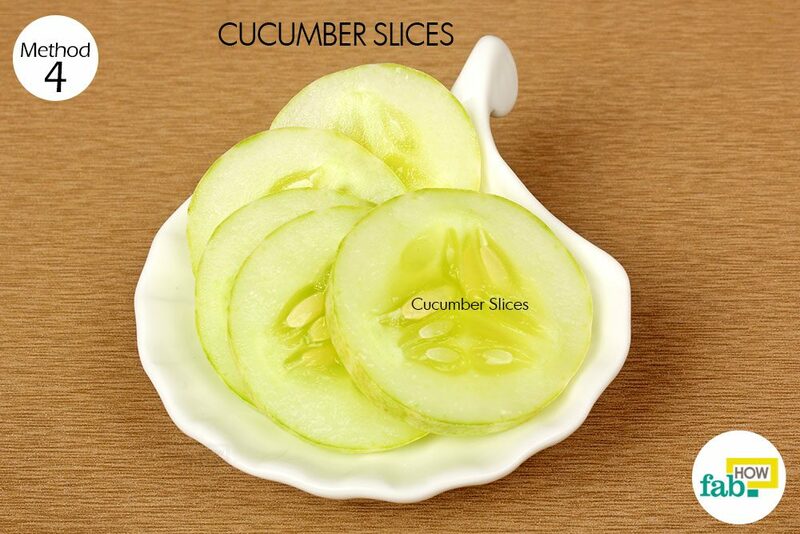 Moreover, cucumbers have a cooling, soothing and refreshing effect on the skin. 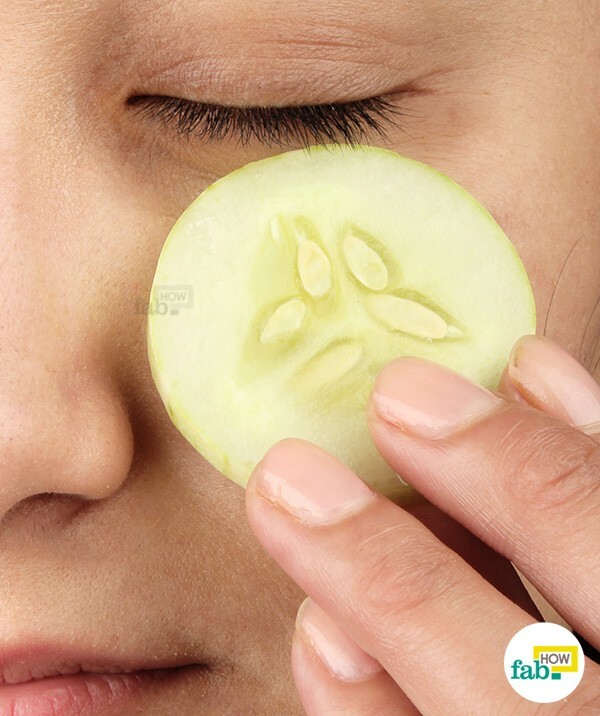 All you have to do is lie down and place a chilled slice of cucumber on the dark circles under each eye for 15 to 20 minutes. Replace the slices as they become warm with fresh, chilled slices. Do this as many times as you can every day for excellent results. Alternatively, you can extract the juice of a cucumber and dab it on your skin using a cotton ball. Drink 8 to 10 glasses of water every day to get rid of water retention that could be one reason behind the trouble. Get proper and sufficient sleep and rest. Do not rub your eyes too much or too often, as this leads to dilation of the blood vessels, thus making the under-eye circles more prominent. Always remove your makeup before going to sleep, or else it may irritate your eyes and skin. Avoid going out in the sun too much. Pay attention to what you eat. Consume more of foods that are rich in vitamins A, C and E.
Limit your consumption of tobacco and alcohol, as they damage skin cells and lead to dehydration, which in turn weakens the skin.